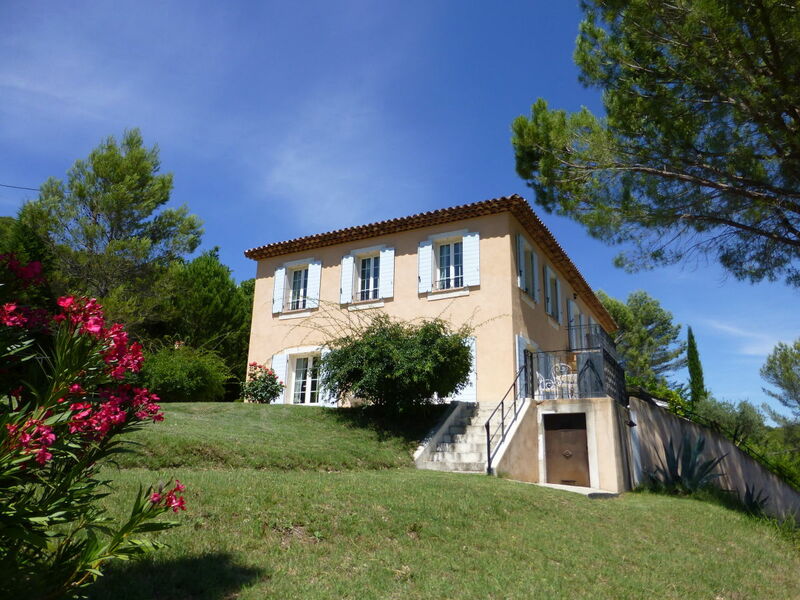 La Bastide de Lorgues is a large and comfortable villa (300 sqm) for max. 8 persons. 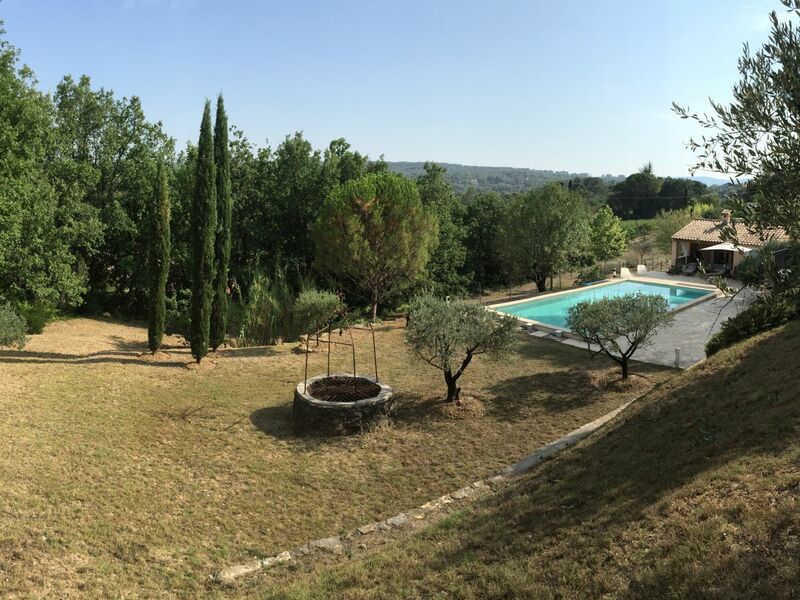 Located on a private land of 4000 sqm, it offers 4 large bedrooms, all air-conditioned, with a magnificient view overlooking the countryside, the swimming pool (6x12x1.50) or the garden. Full of light, the living room (56 sqm) of the property is the heart of the house. Facing the garden and the swimming pool, it offers you the possibility to organize unforgettable evenings. 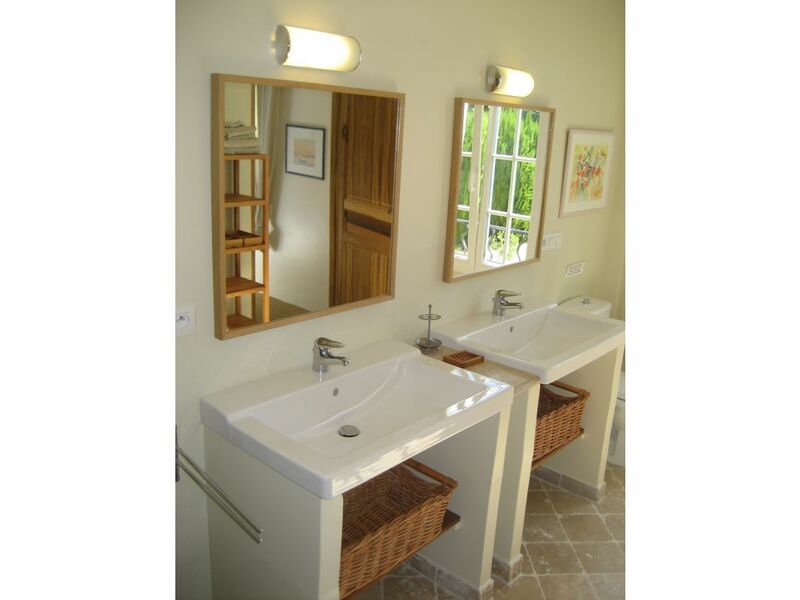 Each bedroom has an en-suite bathroom, fitted with the highest quality materials combining modern design and traditional Provence style. 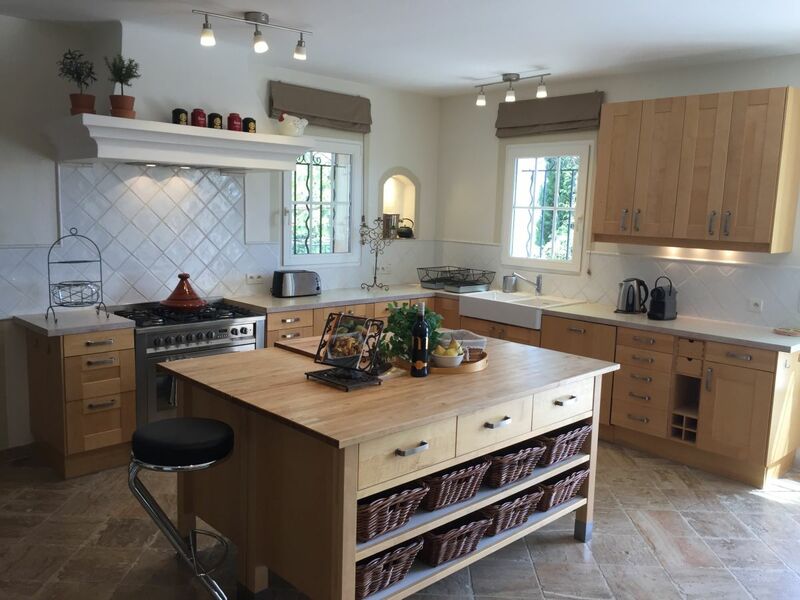 The property offers a large and fully equipped kitchen and the dinning room provides a perfect venue for family breakfasts and late dinners. 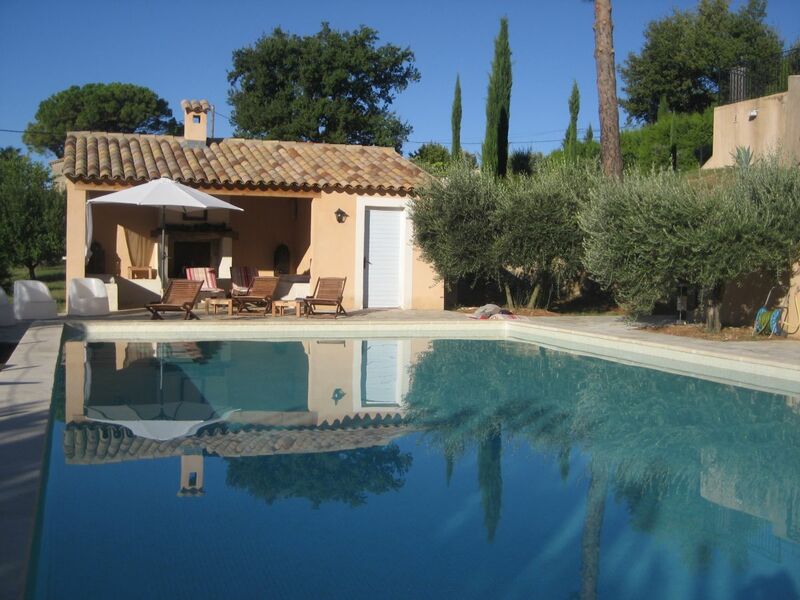 Ideally located, La Bastide de Lorgues welcome families all year long in a wonderful scenery. Exceptionally mediterranean by nature, the garden offers all the scents of Provence: Olive, oak & palm trees, cypresses, shady pines, rosemary and lavender. 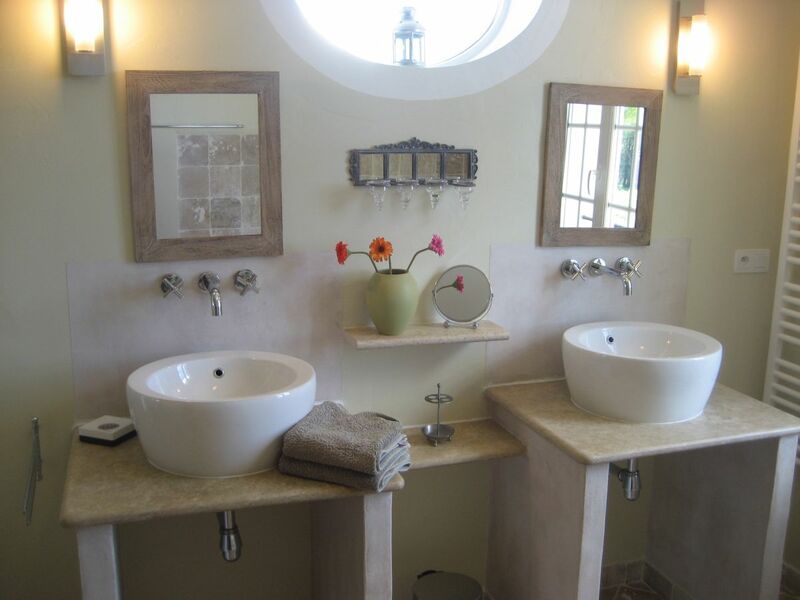 La Bastide de Lorgues offers the most exclusive quality service to its guests! You will enjoy all the very modern facilities and equipments. 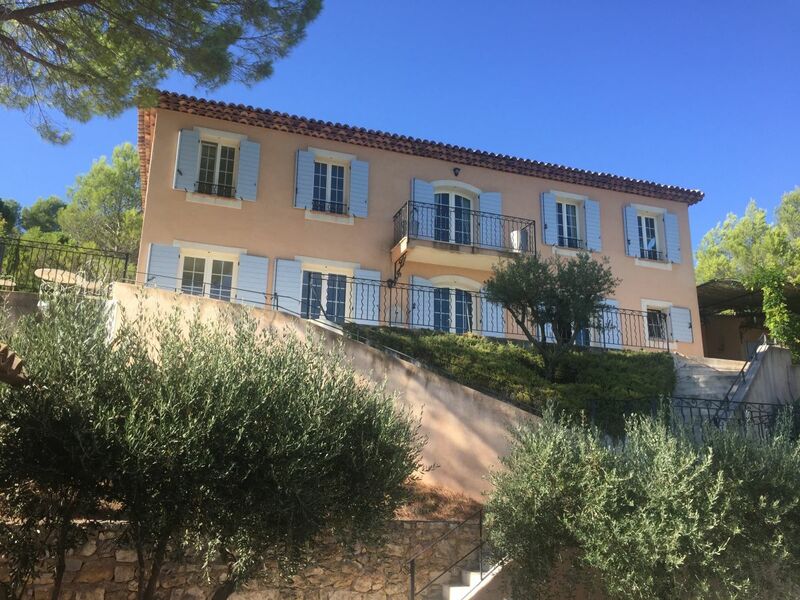 La Bastide de Lorgues is ideally situated in the heart of Provence, close to the sea, in the middle of country side and providing lots of opportunities for sports and leasure activities for the whole family. 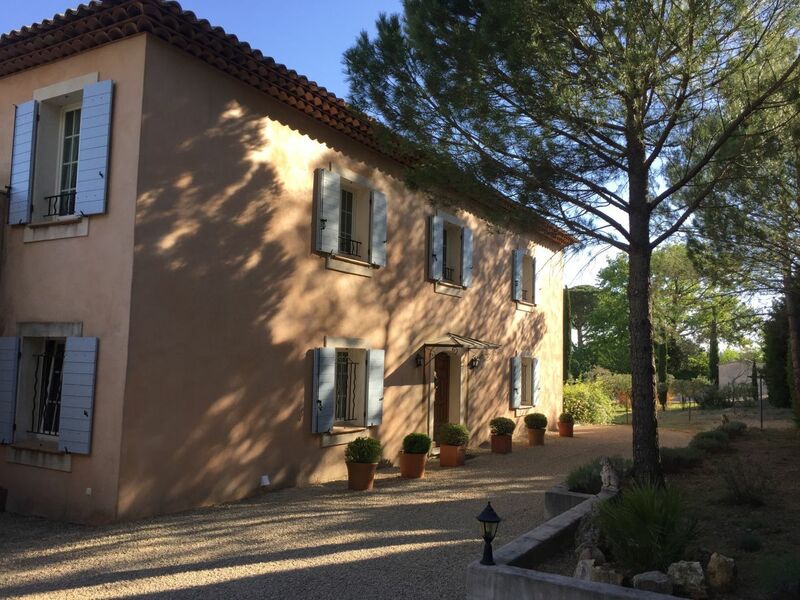 Located only a few miles away from Saint-Tropez and from typical Provence villages La Bastide de Lorgues welcomes visitors to discover this privileged world. 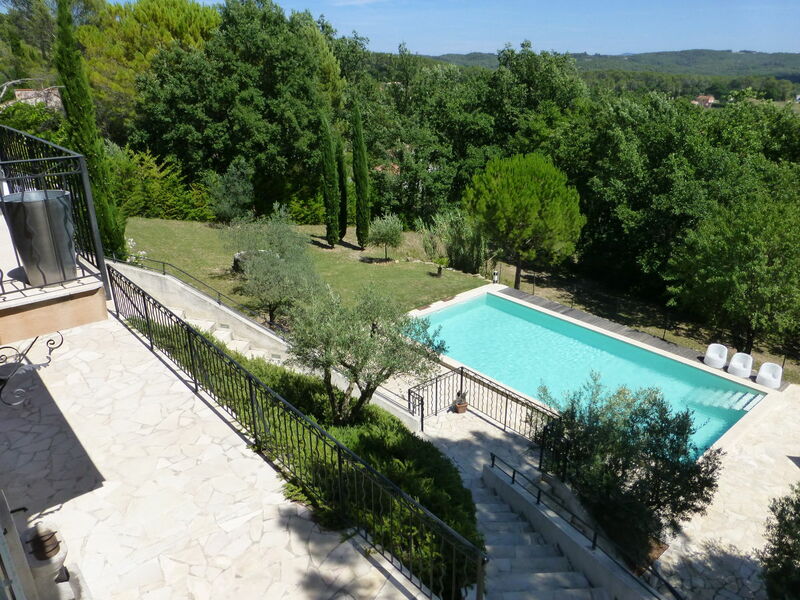 The property is located close to l'Abbaye du Thoronet, magnificent olive trees groves, Sainte Croix Lake and Les Gorges du Verdon, the French Grand Canyon, famous for sailing, canoeing and swimming in beautiful turquoise waters. 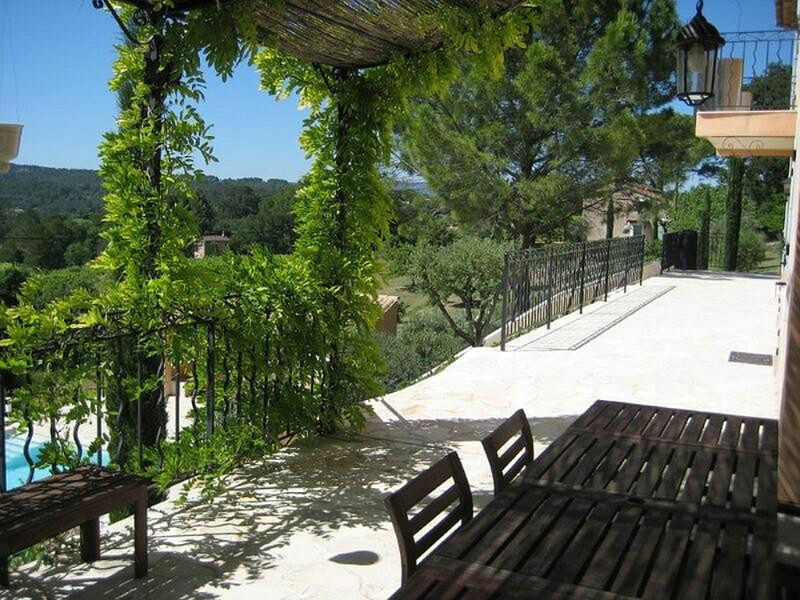 You can enjoy medieval villages, enjoy cafe society outside one of the cafes and famous Provencal cuisine. 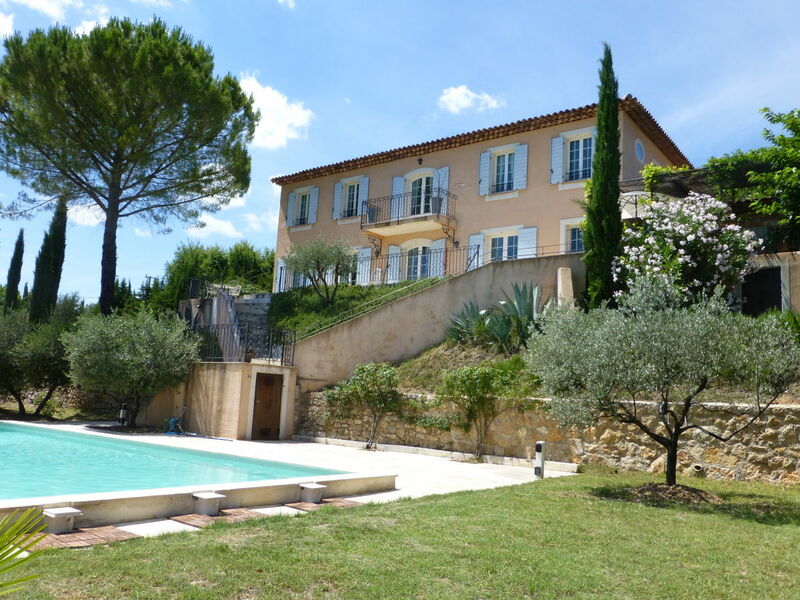 La Bastide de Lorgues is located a few minutes away from the village of Lorgues (1.5 km). 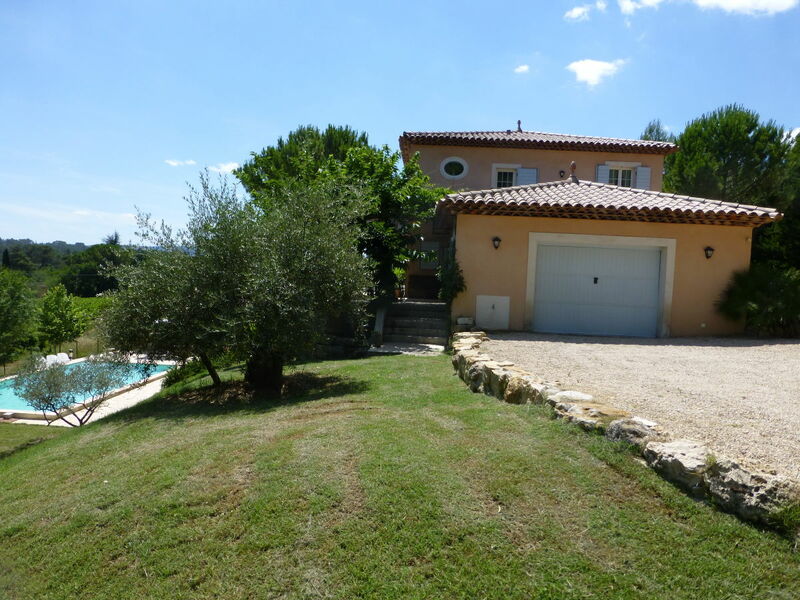 Access from the highway A8, exit Vidauban, Les Arcs Draguignan or St Tropez. Then, D48 north of the N7 in Vidauban, or D10 from Les Arcs/Taradeau or via D557 and D562 South West of Draguignan. Please use the price calculator to find out the availability and the relevant price. For more information on cancellation policy, please contact the owner. 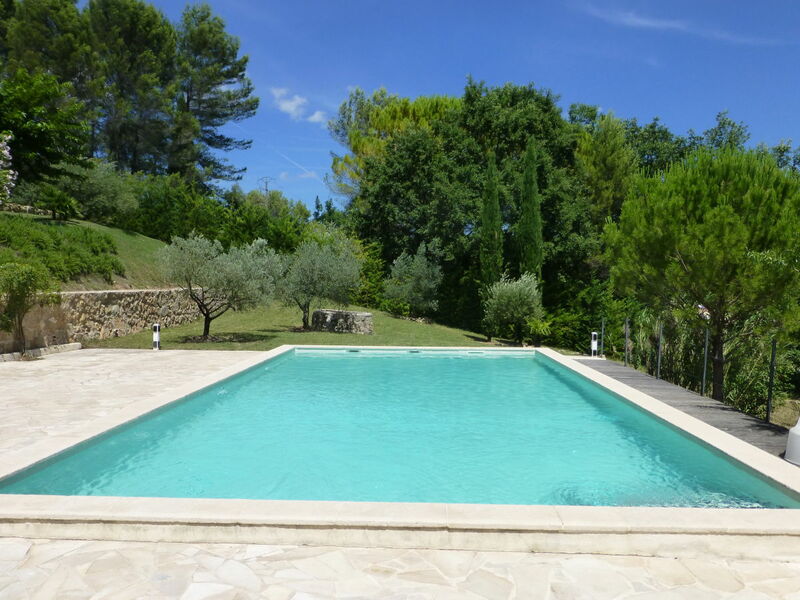 Dear Guests, I am the owner of La Bastide de Lorgues and it will be my pleasure to welcome you next summer for your family holidays in Provence. Do not hesitate to contact me for further information and questions you may have. Looking forward ! This accommodation has 15 reviews and is recommended by 15 guests. Wir (eine Familie mit 5 Personen) haben einen sehr erholsamen Urlaub in der Bastide de Lorgues verbracht. Die Zimmer sind sehr schön eingerichtet, die Küche ist sehr geräumig und lädt zum kochen ein, der Blick von der Terrasse ist herrlich und der Pool ist macht richtig viel Spaß. Lorgues selber ist ein eher verschlafenes Örtchen - am Dienstag, dem Markttag, aber erwacht der Ort und der Besuch des Marktes ist echt zu empfehlen. Sebastien ist ein großartiger Gastgeber, er hat uns sehr gute Tipps für die Gegend gegeben, die Weingutempfehlungen waren sehr gut und das Haus ist hervorragend eingerichtet und in einem Top-Zustand! Dear Sebastien, it was a pleasure for us to stay in your home. Thanks for everything. Many thanks for your kind message and positive appreciation of your stay at La Bastide de Lorgues. I am really happy that you enjoyed your holidays in Lorgues and had such a great time. It is true that if you enjoy cooking as you do, the kitchen , barbecue and terrasse offer quite a lot of possibilities! I have enjoyed to provide you with some tips for the local visits and particularly on the wineries in the village and close area. There are so many and I am happy to see that you loved it. I look forward to have the pleasure to welcome you on another occasion and send you all my very best wishes. Sincere regards and "Bis bald"
We stayed in July the second time with 2 families with teenagers here and would love to come back! 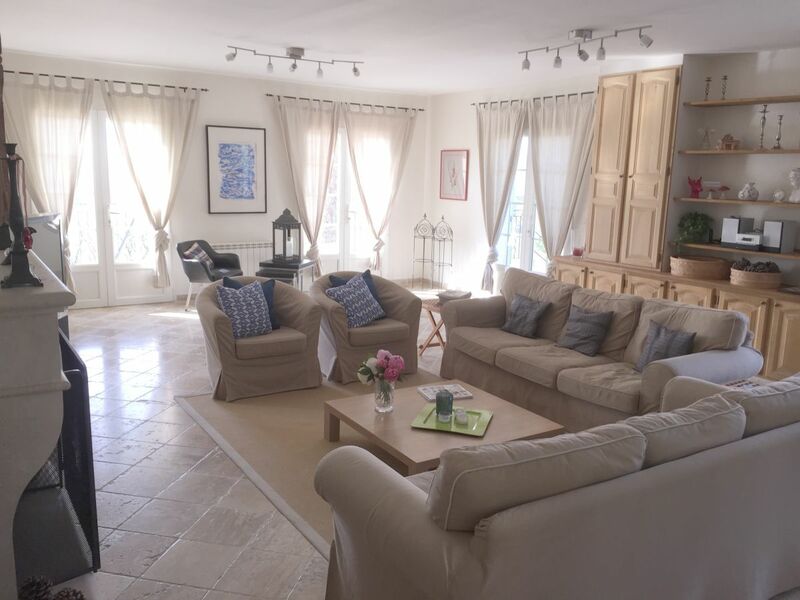 The Bastide de Lorgues is a beautiful large house that offers everything you need to feel at home during your holidays: great pool, nice cool rooms, ample bathrooms, a large, very well equipped kitchen, large terrace, etc. 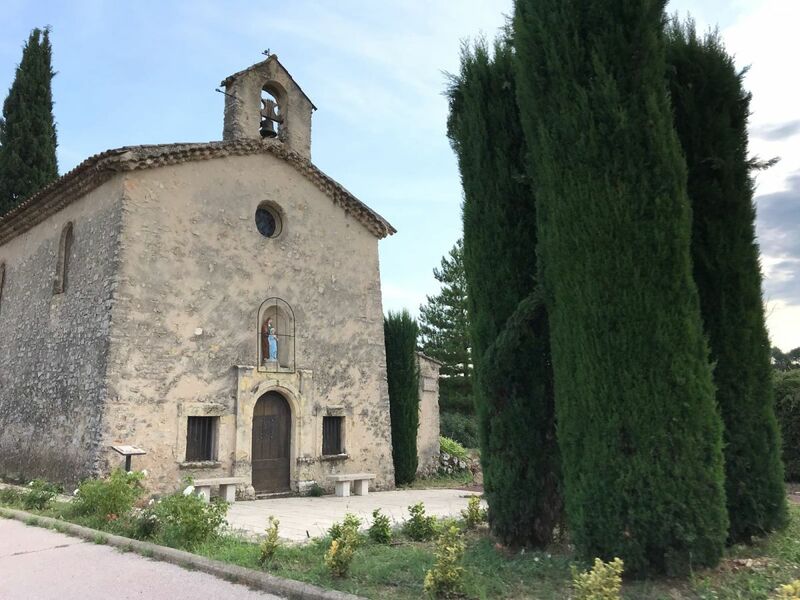 It is also a good starting point for excursions to destinations in the area, such as the Grand Canyon du Verdon, the Lac de Sainte-Croix, and the Côte d'azur beaches and towns. Sebastien is one of the most dedicated and friendly landlords we know. I am sincerely touched by your kind words and positive evaluation of our house. It has been a sincere pleasure to welcome you again at La Bastide de Lorgues and to facilitate your holidays. You are indeed incredible guests, very caring, extremely warm and you seem to enjoy so much the property and area that it is the best reward I can get from visitors. You will always be welcome again for your holidays and thank you for having chosen our property once again this summer. With sincere regards and looking forward to have the pleasure to see you very soon. Take very much care and wishing you all the very best. Many thanks for your kind message and positive rating of our property. It was really nice to welcome you and to assist you during your holidays. I am really pleased that you had such a great time and look forward to see you soon. You will always be welcome and I must say that you took really good care of the house! Thanks a lot! 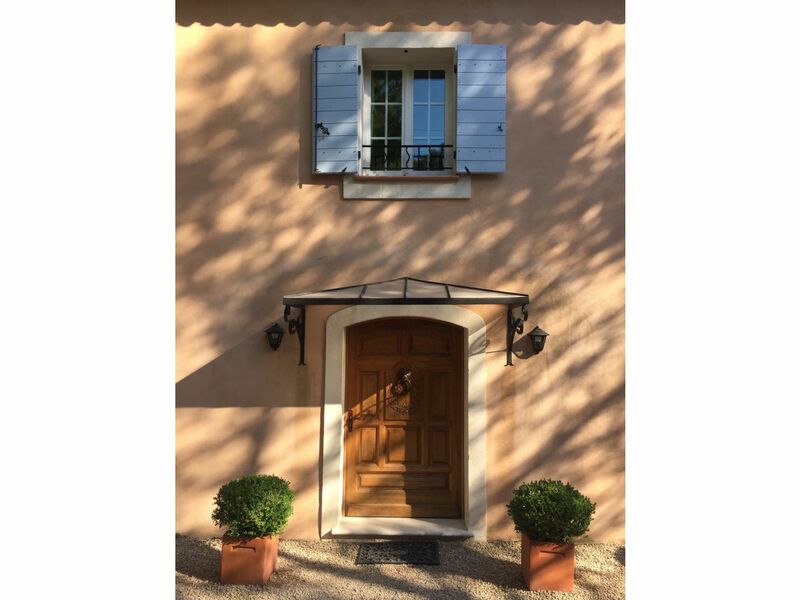 We stayed at La Bastide de Lorgues for two weeks in June, 2018 - as a familiy of four generations, eight adults and a baby of seven months! We enjoyed this residence very much: There is so much space! The house is equipped with everything you might desire, and moreover, everything is arranged very charmingly and tastefully! The kitchen and the barbecue don't leave anything to be desired: We cooked for ourselves every evening and enjoyed to have dinner on the terrace. The swimming pool is more than just a pool. Here, you can really go swimming! And you can enjoy the space including the pool house for relaxing all day long. Our holidays were extraordinary! And, well... I was feeling like a landlord in Provence... - Many thanks to the real landlord Sebastian Turrel! - We hope to come back next year! What a kind message and touching comments! I can only respond to you with a big THANK YOU for your supporting message and appreciation of our property. I am really pleased to read that you had such a great time at La Bastide de Lorgues and enjoyed so much your holidays. I try to provide the best services to our visitors and it is always very rewarding to see that guests appreciate our efforts and the quality of the property, pool, garden and of the environment around. It has been really great to welcome you with your family and I look forward to have the pleasure to see you on another occasion, hopefully next summer. Please say hello to your parents and all the very best wishes for the end of the summer and the months to come. 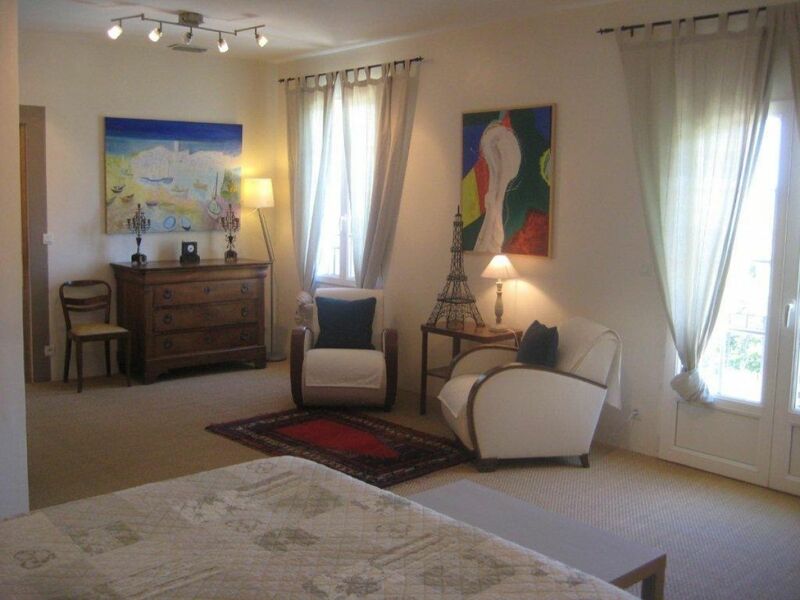 First of all, Mr. Sebastain Turrel and the La Bastide de Lorgues deserve a 5 star rating! 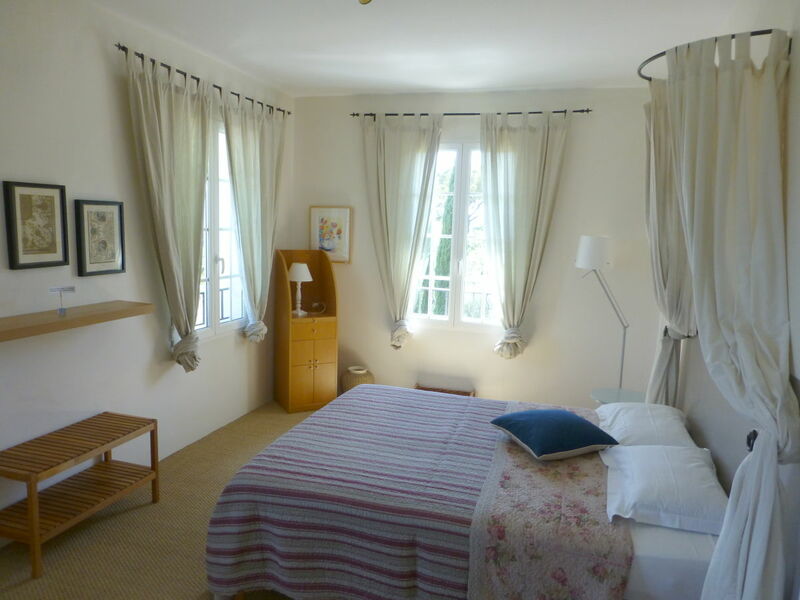 We stayed at La Bastide de Lorgues for 2 weeks as a family of 7 persons. Four adults, grandpa, grandma, son and doughter-in-law and three children in the age between 2 and 14 years, and a our dog. The property fits exactly to our needs, and I think it would fit perfectly to a family combination as ours. There is plenty of room for everybody to have her or his privacy if wanted. Especially the master bedroom with it's own bathroom and two balconies provides the possibility to back out of the family business if you want. The property, the house, the furniture, the kitchen, the garage, the yard and the pool leave nothing to be desired. Thank you so much, we are looking forward to see you next time! What a wonderful comment and kind appreciation of our property La Bastide de Lorgues! I am really happy that you had such a great time home and enjoyed all the facilities. It is true that the house is really big and that large families can move around easily without disturbing each others. It has been a pleasure to welcome you this spring and let me also mention that you have been extremely kind and took excellent care of the house. I must say that I would love to see you again and that you will be always be welcomed on another occasion... There is so much variety of wines to try in the region and amazing things to visit! 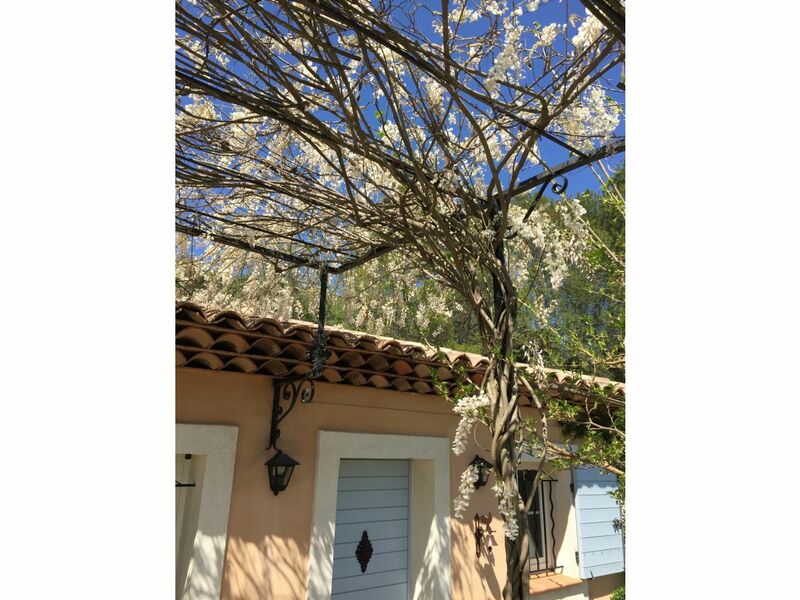 Again, many thanks for having chosen our property La Bastide de Lorgues and more particularly for your kindness and encouraging words. Please come back again! Our family plus the family of good friends of us (all in all 8 people) spent a marvelous week at La Bastide de Lorgues. We can just state that we loved the house and felt like home from the very first minute of our stay. The house is just beautiful, completely equipped, very tidy and in perfect condition. We only have to complain, that we didn't stay longer. 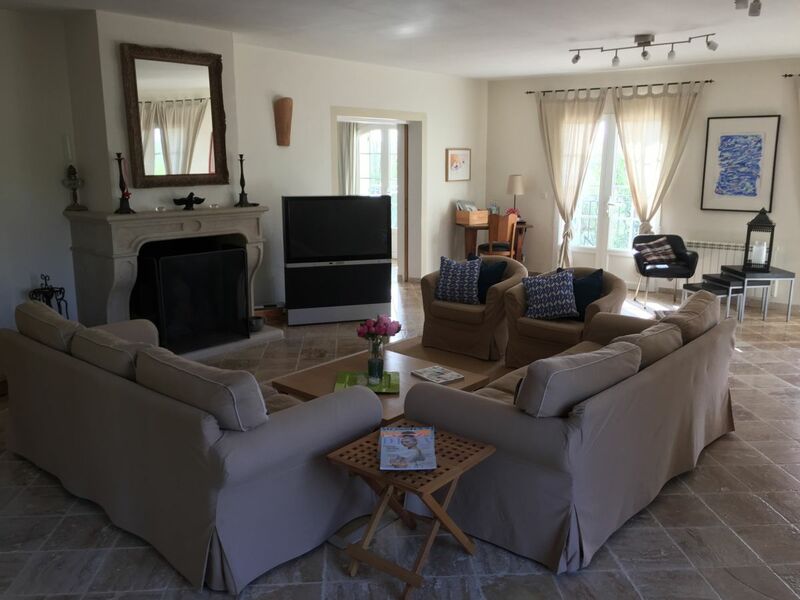 After we had rented several nice houses for vacation over the years we can truely recommend La Bastide de Lorgues with a unrestricted 5 stars rating. Sebastien is a very kind host and was super friendly at all times. Thank you very much and we look forward to come back to this beautiful place. Allow me please to address my most sincere thank you for your kind appreciation and super friendly comments. It has been an honor and real pleasure to welcome you all at La Bastide de Lorgues this October. I always try to provide the best service to my visitors and to remain at their disposal for any request they may have. By reading your nice comments, it seems that I have managed to fulfill my objective! On the top of it, you have had the most brilliant summer weather so that could enjoy all the facilities of the house, garden, barbecue and swimming pool (the best part probably!). I am really happy for you and only hope to have the pleasure to welcome you again during another holiday (and if you want to stay more time... just let me know !). Let's please keep in touch and wishing you all the very best. We spend 2 weeks in the lovely house together with another family, friends of us. In total we were 8 people and we had a relaxing time. The house well equiped, very clean, everthing perfect. We used the pool and the poolhouse every day. Dear Martin, Dear all teenagers! I am really touched by your kind words and positive evaluation of La Bastide de Lorgues. Many thanks for rating our house in such a nice way. It was a pleasure to welcome you this summer at La Bastide de Lorgues and to know that you had such a great time home. Indeed, it is important for me to offer a personalized service and to know each of our guests in person. I also believe it is indeed a big plus for my as the owner and my clients. Again, it would be an honor to have the chance to see you again on another occasion and thank you for having chosen our property for your holidays. With very best and sincere regards! 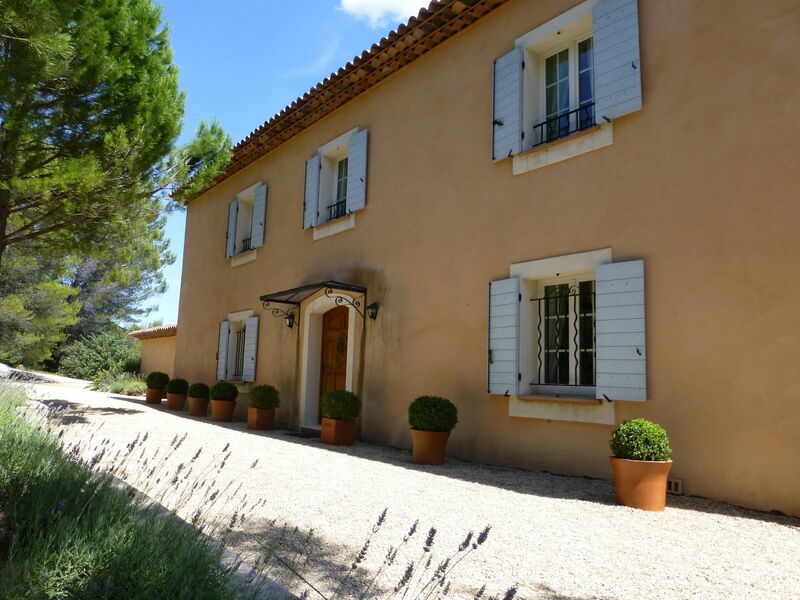 The Bastide de Lorgues is just wonderful. The house leaves nothing to be desired, it is very stylishly furnished, the pool is one, in which one can really swim, the kitchen offers everything from the kitchen machine to the garlic press and thanks to the air conditioning we could sleep well even at outside temperatures up to 41 degrees. On top of that there is a host who is incredibly friendly and helps with problems and questions at any time. Maybe it is not so clever to swarm from this house at this point. It is possible that more people would like to spend their holidays here. But the house and the host deserve it. We were very happy there and had a wonderful time. And hopefully come back soon. Thanks Sébastien! It has been a real pleasure to welcome you and I am delighted to see your comments and appreciation of La Bastide de Lorgues. I am always trying my best to offer personalized services and I am pleased you had such a great time, even with this really hot temperature this summer ! But it is true that with the pool, it is just magic. Many thanks as well for the bottle of wine you offered me on your day of departure. It was really generous of you and I will enjoy it very soon. You will be most welcome to come back again with your family and friends and I look forward to hearing from you from time to time. Very sincere wishes and heartedly thank you for this great comment! Zum zweiten Mal: einfach toll! Herr Turrel ist ein sehr sehr guter Gastgeber, vielen Dank!!! Wie bereits erwähnt, haben das Haus und Grundstück ein wunderbares Ambiente! Der Pool, das Haus und das Grundstück sind einfach toll! Die Nähe zum Ort Lorgues und sein Märkten ist ein Erlebnis!! It was again a fantastic and outstanding stay in Lourges! Mr. Turrel has created something special for wonderfull holidays! It was the second time for us in this beautifull house!! We want to say : Thank you, Mr. Turrel!! Ein wunderbares Ambiente und sehr stilvoll eingerichtet! Die Nähe zum Ort Lorgues und gute Erreichbarkeit von den schönsten Sehenswürdigkeiten macht den Urlaub hier abwechslungsreich! Toller Weber-Grill, überhaupt ist in der großen Küche für Hobbyköche alles da! Wir haben uns rundum gleich wie zu Hause gefühlt! What a wonderful message and kind appreciation of your stay at La Bastide de Lorgues. Coming from you, it does matter a lot to us knowing that you have such a beautiful hotel in Germany and offer top-quality services to your guests! 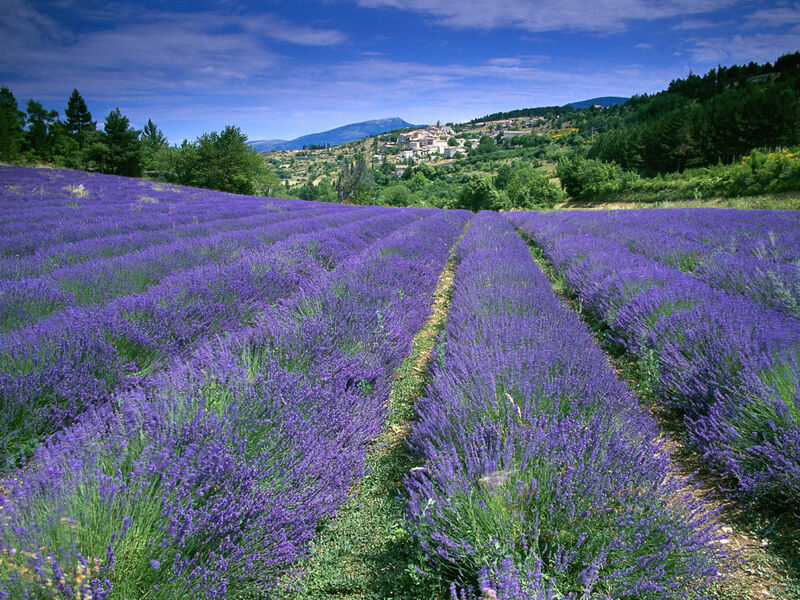 It has been a pleasure to meet with you and to welcome you during your holidays in Provence. We look forward to see you soon and hopefully to be able to visit you in beautiful Heidelberg. Sincere wishes and again many thanks! 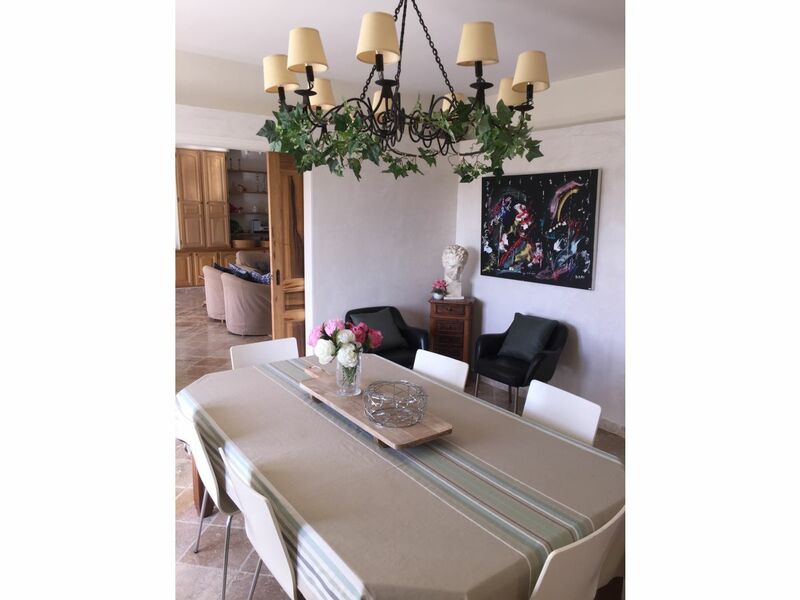 "Holiday house La Bastide de Lorgues" achieves a review of 5.0 (ranking scale: 1 to 5) due to 15 entered reviews.